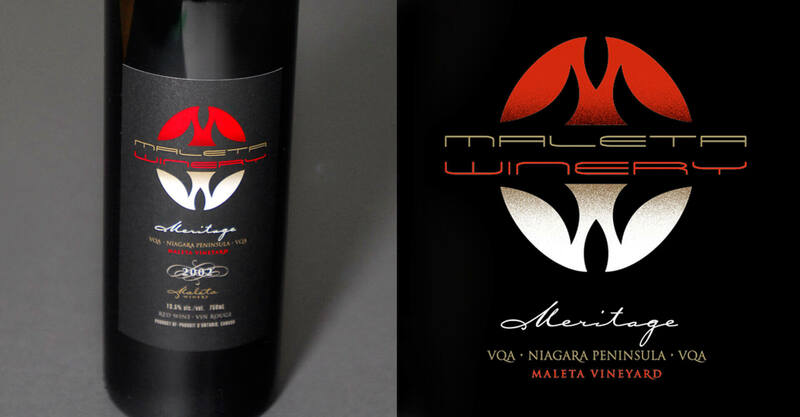 Maleta Winery, a small Niagara winery, came to us in 2004 with legacy bottle label designs from a previous owner that embodied his passion for vintage automobiles but lacked relevance and credibility with consumers. As their quality wine offering is stratified into three tiers based on pricing, Maleta asked us to create a distinct and memorable brand name, logo and beverage packaging design within each tier. After auditing their winery, existing brand, competitors, and global beverage packaging design trends, we decided on a strategy that would brand the wine, not the winery. Instead of developing a homogeneous design to create a family of Maleta wines, we developed a unique brand for each tier that spoke directly to the target consumer in that price range. 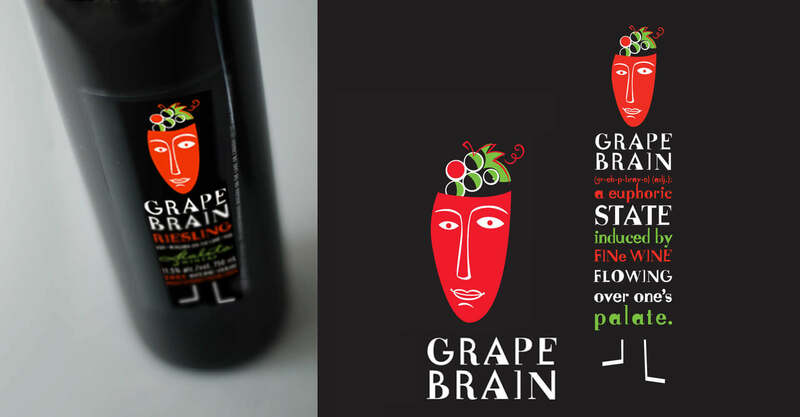 The entry-level wine, Grape Brain, is targeted at a consumer looking for a quality wine that will make an impression, and became an instant celebrity with its light-hearted approachability. The mid-tier offering, View, brought more sophistication but remained accessible. Meritage, the premium tier wine, took on a look of sophistication that spoke of its refined quality. Each tier has proven successful and has helped to put Maleta on the map. 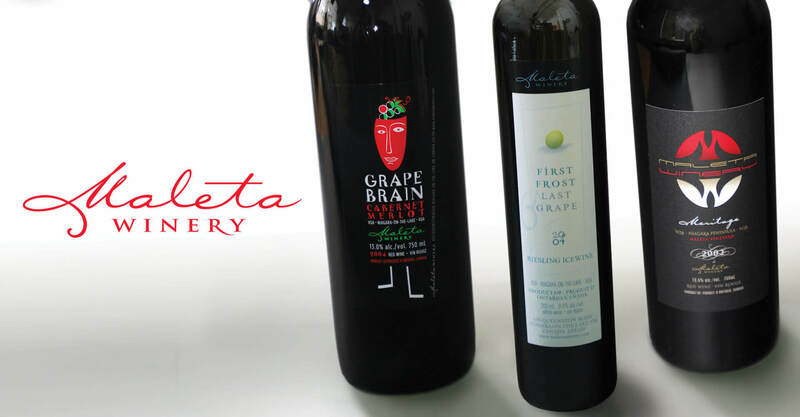 Both Grape Brain and Meritage were introduced into the LCBO, and Grape Brain became so popular that the brand transcended the reputation of the winery itself. 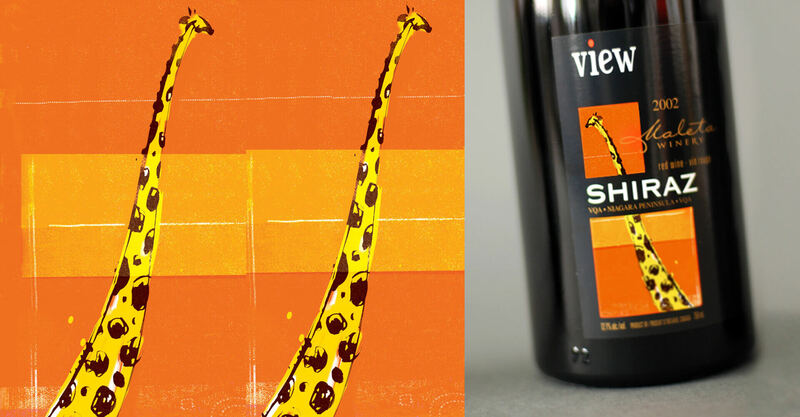 Jump developed distinct category brands that were a fresh approach to Canadian wine packaging. 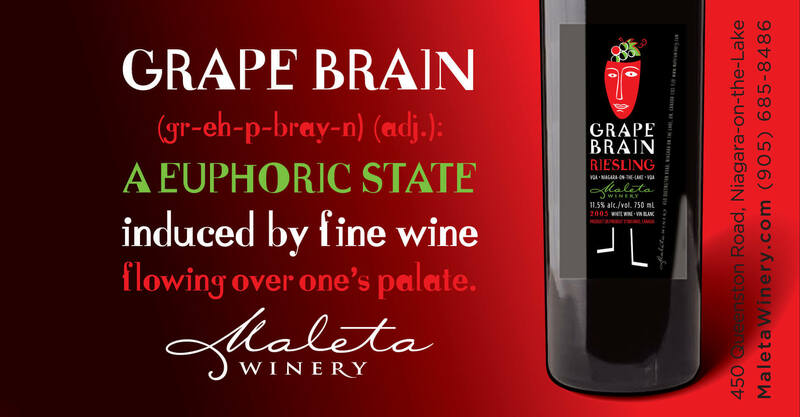 The Grape Brain brand in particular has been so successful in its recognition, that we now use it as a key identifier of our winery. 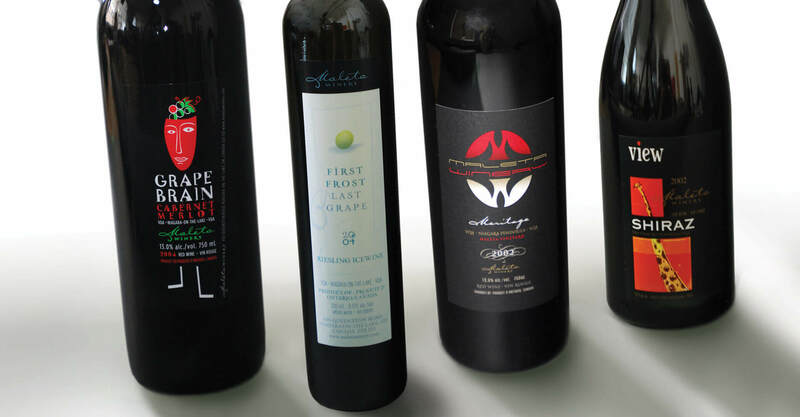 Good to the Last Grape: The success of these beverage packaging designs caused Maleta to engage Jump once more in 2006 to design a brand for their newest addition, First Frost Last Grape, an award-winning icewine. 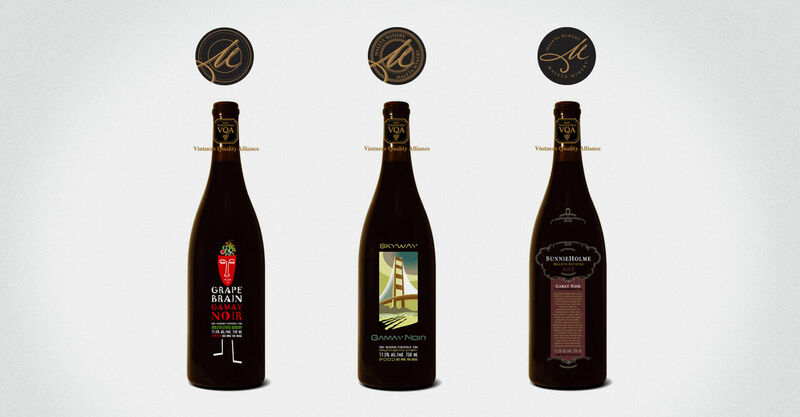 It was designed in the fall of 2005 in anticipation of the bottling of the 2002 varietal. Jump was responsible for creating both a name and a label for the icewine, and credit the team at Maleta for being open to experimentation with their packaging. For a relatively small winery to be so innovative with their packaging was a big risk, but owner Daniel Pambianchi and his group were quick to dismiss more traditional design in favour of an innovative, contemporary style that really sets their packaging apart from their competition.